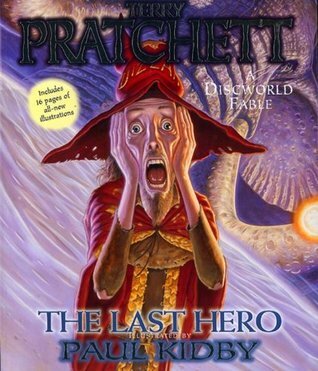 This week I’m reading The Last Hero: A Discworld Fable by Terry Pratchett. I’m excited to read this; I’ve looked for it for several years. I finally found a copy on Amazon at the same time I possessed money to spend. I already leafed through it, amazed at Paul Kidby’s illustrations. it in the air . . . and it's gone. The ship creaked in the glaring sunlight. This Teaser Tuesday was prepared in advance of a busy week. Check back next week for a book review of Last Will by Bryn Greenwood. I hope your parents are having a nice visit! I haven’t read any of the books in this series or by Terry Pratchett. I’ve always wanted to though. You’re in luck; since they’re almost all capable of standing alone, you can pick up any in the series that looks interesting without needing much of a backstory. Thanks for dropping by and adding a comment. Best of luck on your literary endeavors!